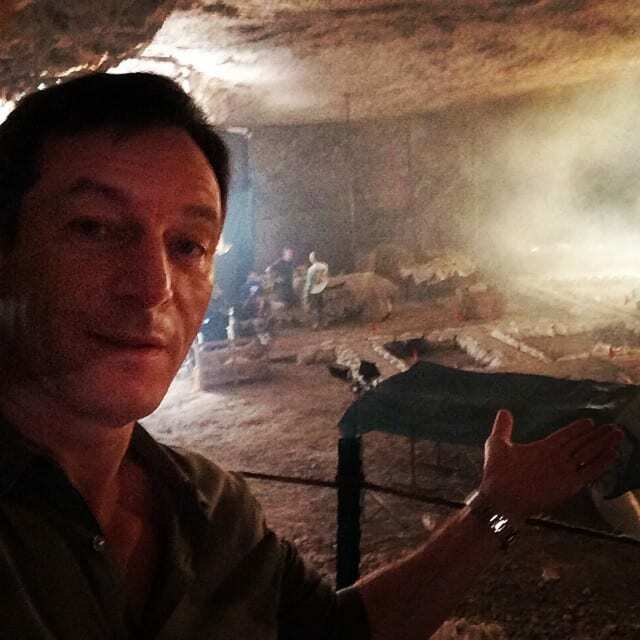 I have written about Harry Potter actor Jason Isaacs on a number of occasions before, the last time being regarding an interview in which he spoke of why his parents moved to Israel. “After the hangings, my dad was cowering with his family in his flat in Liverpool while people were breaking windows and shouting: ‘Burn the Jews! Burn the Jews!’ I thought he was confused, but he wasn’t: these things were happening to him after the war when he was 16. So it hardly comes as a surprise that he would give the BDSHoles the middle finger, which is what I believe he is pretty much doing in this exchange published by Ali “Abumination” Abunimah. Update: Here’s an interview Isaacs had with Israeli video a few years ago.